Use this template to create journals, diaries, or notebooks. You can enter the following information: note title, note entry date, note category, keywords, note. 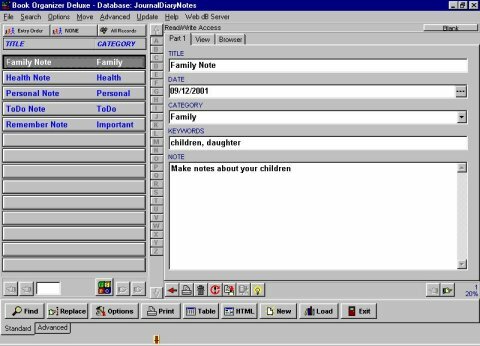 You can easily create electronic journals, diaries, or notebooks. You can print all or selected records. You can quickly find information.